Where: Conner Auditorium, Farrell Learning and Teaching Center, Washington University School of Medicine. Are you interested in careers outside of Academia? Does contributing to the entrepreneurial and start-up culture of St. Louis sound exciting? If you answered yes to any of these questions please join members of The BALSA Group for an exciting information session on how you can get involved. The BALSA Group is a non-profit, student lead consulting firm which aims to provide hands on experience in the business of science and technology, focusing on the development of transferable skills. 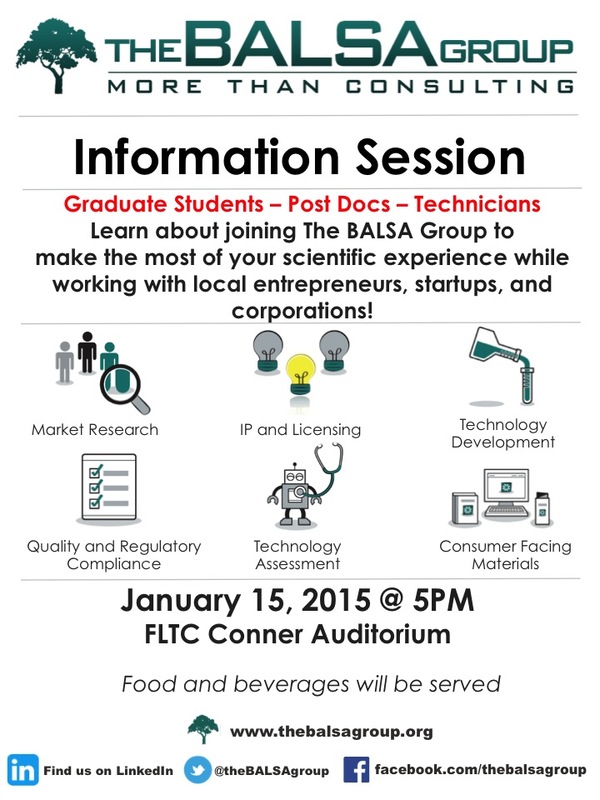 Learn about what you can expect as a BALSA member and how it can help you further your career goals! Food and beverages will be provided.